Four years after the end of Kurt Sutter’s ridiculously popular yet critically underrated FX motorcycle drama “Sons of Anarchy” rode off into the sunset, the TV creator returns to its world with the spin-off “Mayans M.C.” He’s promised a few familiar faces will return (and there’s an already-spoiled cameo in the premiere of a very recognizable one) but this is really a new story, albeit one that explores similar themes as “Sons.” There’s once again a conflicted young motorcycle club member to serve as our protagonist, and Sutter again dives deep into heated family drama that approaches Greek tragedy, although without the “Hamlet” hook of “Sons.” (I wrote more about the lineage of “Sons” here, if you’re curious.) 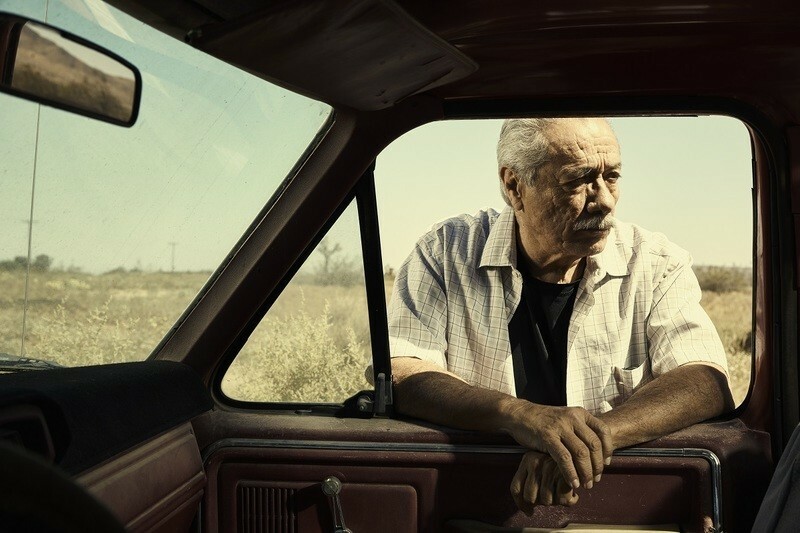 Sadly, FX sent only two episodes of "Mayans" for review, and it’s hard to tell yet if and when this show will emerge from the shadow of its predecessor. Right now, it’s still riding in its wake. J.D. Pardo plays Ezekiel “EZ” Reyes, a prospect for the Mayans, a motorcycle club running along the border with Mexico, and closely tied with the cartel there. The Mayans like to morally distance themselves from the cartel, but they are also often its enforcers, helping maintain their vicious rule. EZ is being sponsored into the club by his brother Angel (Clayton Cardenas), who vouches for him even though he’s been suspiciously released early after killing a cop. In flashbacks, we see a younger EZ go to prison for that crime, rupturing his relationship with Emily (Sarah Bolger). Of course, when he’s released early, he discovers that Emily is now with the head of the cartel in this part of the world, Miguel Galindo (an effectively sinister Danny Pino). As with “Sons,” we also meet an array of fellow club members, including its head Bishop (Michael Irby), Riz (Antonio Jaramillo), Taza (Raoul Trujillo), and Coco (the great Richard Cabral, so fantastic on “American Crime”). Edward James Olmos pops in every once in awhile to offer wisdom as EZ and Angel’s father. If this sounds like a lot for two episodes of dramatic television—and I haven’t even mentioned the Samoans or the rebels fighting back against the cartel or several other subplots I don’t want to spoil—you’re not wrong. Sutter and co-creator Elgin James come screaming out of the garage, very purposefully loading up the first two episodes with enough characters and subplots to make you forget Jax Teller. You won’t quite. At least not yet. Despite good work by Pardo, Cabral, Olmos, and Pino, this cast and these characters just don’t hum like “Sons” so far, which really knew how to work ensemble with great character actors like Mark Boone Junior, Kim Coates, and Tommy Flanagan chewing up the scenery. Now, clearly, I’m a “Sons” fan, but that show wasn’t quite there yet in its first couple episodes (and had a rollercoaster in terms of quality over its seven seasons), so there are reasons to be patient and even optimistic. My hope is that Sutter and James let the characters breathe a bit. There are torture scenes in both episodes, shoot-outs in both episodes, and enough macho posturing to raise the viewer’s testosterone level. It’s definitely loud, but there’s a difference between loud and interesting. Right now, the show doesn’t quite have its own personality. Katey Sagal gave one of the most underrated performances of the Peak TV Era on “Sons,” and I want something like that to pop out of “Mayans” to really make it memorable. Olmos could do it. As could Cabral. Maybe even Pardo. But after almost two hours of “Mayans M.C,” I still miss the Tellers, and I’m worried I will at the end of the season, too.